Interview with Gabriela Rivera, Lawyer with Mujeres Transformando el Mundo (MTM, or Women Transforming the World) in Guatemala, on the Sepur Zarco sexual violence and sexual slavery case. 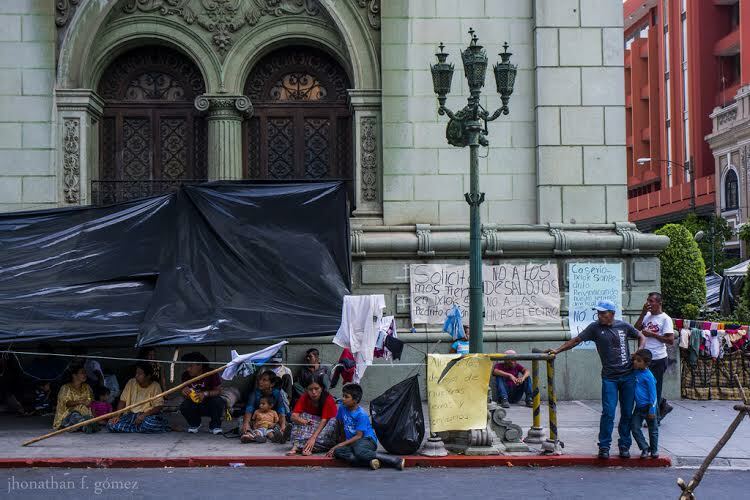 Over 400 families formed a peaceful encampment outside the National Palace in downtown Guatemala City last week. 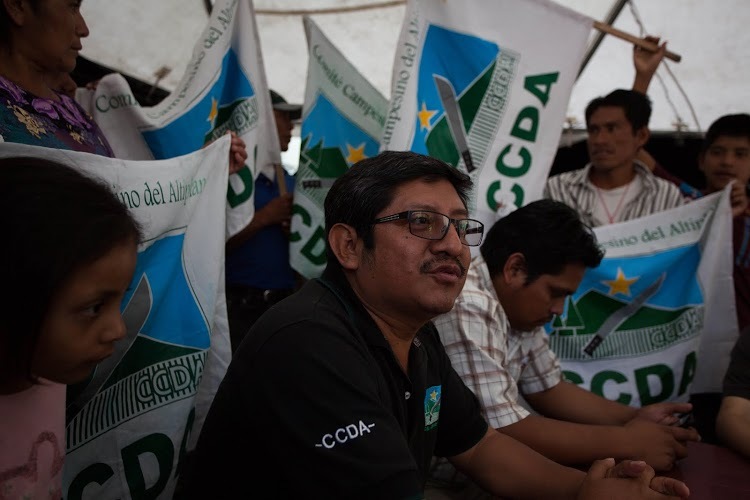 According to the Farmers Committee of the Highlands (Comité Campesino del Altiplano, CCDA), families are asking for access to land, the resolution of agrarian conflicts, a stop to forced evictions and an end to the criminalization of community leaders. 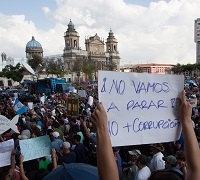 The community of Santa Cruz Barillas is protesting the construction of dams in their territory, including the Santa Cruz hydroelectric project owned by the Spanish firm Ecoener Hydro Energy, as part of the regional energy integration project called for in Plan Mesoamerica. 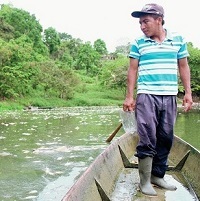 The project has been plagued by human rights violations, including the failure of the Guatemalan government and companies to consult the indigenous communities prior to construction. The community fought back, and has paid dearly for their resistance to the projects within their territory. One of the most dramatic events took place on April 27, 2013, when private security guards from the company Alfa Uno – associated with the Israeli company Golan Group – acted on orders of the then-head of security Alberto Rotondo Dall’Orso and indiscriminately shot at community members who were peacefully protesting in front of mining facilities in San Rafael Las Flores. Seven community members were injured. 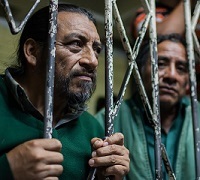 Community radio is the heart of rural communities across Guatemala and Latin America. These radios stations are spaces for the transmission of not just news, but spaces for sharing the voice of the people in their own languages, and sharing their culture. 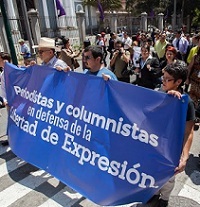 Yet community radio stations have increasingly come under assault, especially in communities that are in resistance to mega-projects in their territory. 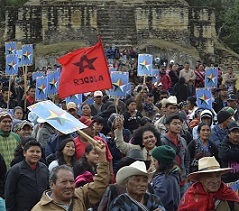 On November 26, members of Guatemalan Maya, Mestizo, Garifuna and Xinca communities met to make a historic decision to ally with the Convergence for a Democratic Revolution party to run senatorial candidates in the the 2015 presidential election. This meeting was a grassroots and participatory assembly aiming at consolidating a platform for the participation of indigenous peoples. 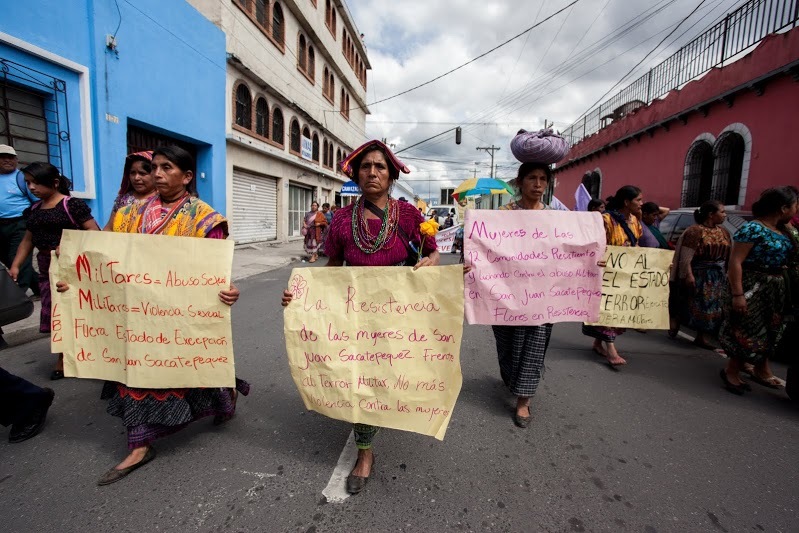 On October 24, the women of San Juan Sacatepéquez and their supporters marched through the streets of Guatemala City, Guatemala, denouncing the violation of human rights in their communities by the military, and calling on the federal government of President Otto Pérez Molina to end the state of prevention, which suspends constitutional rights in their communities. According to the women, the presence of police and soldiers in their communities amounts to an occupation, and residents are suffering from psychological and physical attacks at the hands of the military and police.